With the ‘throttle’ wide open through a corner as the rear tyre scrabbles for grip, there is no exhaust roar. The unlikely combination of near-silent running and high performance is almost enough to make you miss the apex. 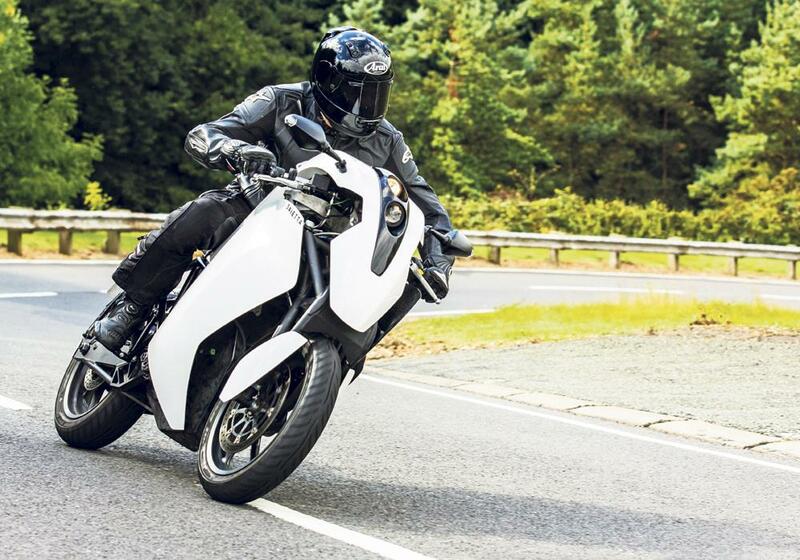 The Agility Motors Saietta R, one of the most advanced electric bikes available – and yours for a salty £16,770 – is fantastic fun to ride with a powerful motor and composite monocoque construction. And the firm is claiming a range of 112 miles – although that depends on how hard you are riding. The Saietta R looks top heavy thanks to the lithium-ion battery packs under the bodywork, and it does require a heave to lift the bike off the sidestand. The bars are low, while the seat is long and the pegs rear-set. Flick the ignition key and the dash illuminates. Disarm the kill switch and the engine is live, although you wouldn’t know it until you take up the slack in the twistgrip and the bike pounces forwards. 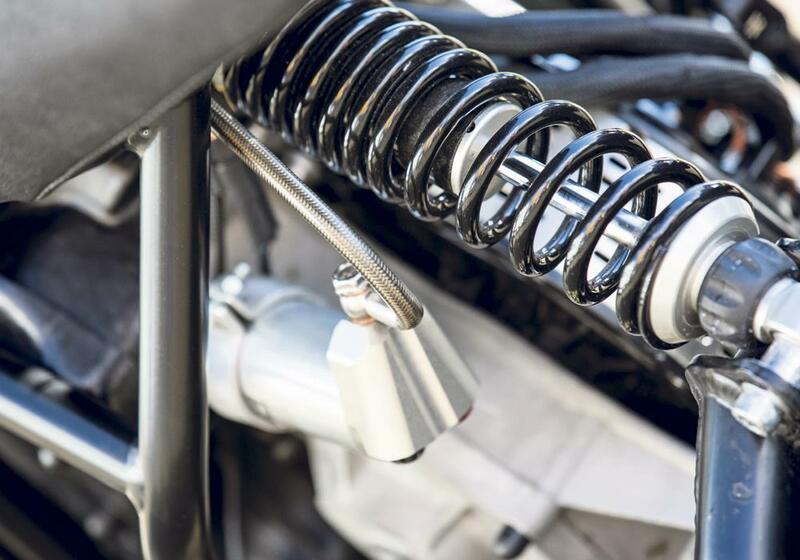 With instant drive and no clutch to slip, the knack of pulling away smoothly needs a little practice, although throttle sensitivity can be adjusted. 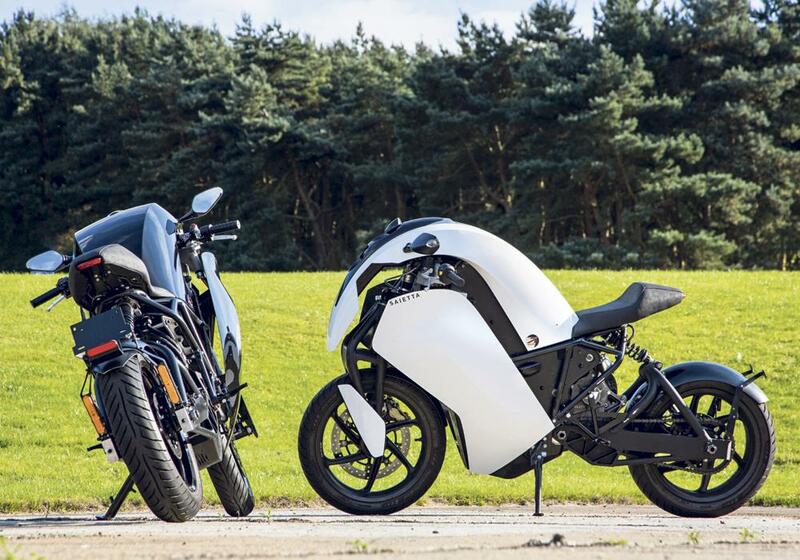 The futuristic silhouette, a result of Agility Motors’ pedigree in F1 and electric bike racing, might not appeal to everyone, but with statistics like 0-60 in 3.9 seconds and 96.5bhp, the Saietta R has the potential to challenge conventionally-powered motorcycles under the right circumstances. An axial flux DC motor delivers its Ducati Diavel-matching peak torque of 93.7ftlb right from a standstill and propels the 200kg Saietta R at the horizon with potent, relentless drive and a surreal lack of noise uninterrupted by gear shifts. Under hard acceleration it’s more flux capacitor than axial flux. But it isn’t completely silent and, as the speed builds, it whines like an overgrown Scalextric car. Engine braking is minimal (although this, again, is adjustable) so a dab of the brakes, which are both bar-mounted like a twist’n’go scooter, is usually necessary on corner entry. The steeply-raked double wishbone front end offers accurate tracking, minimal dive under braking and good confidence when trailing the front brake into corners. 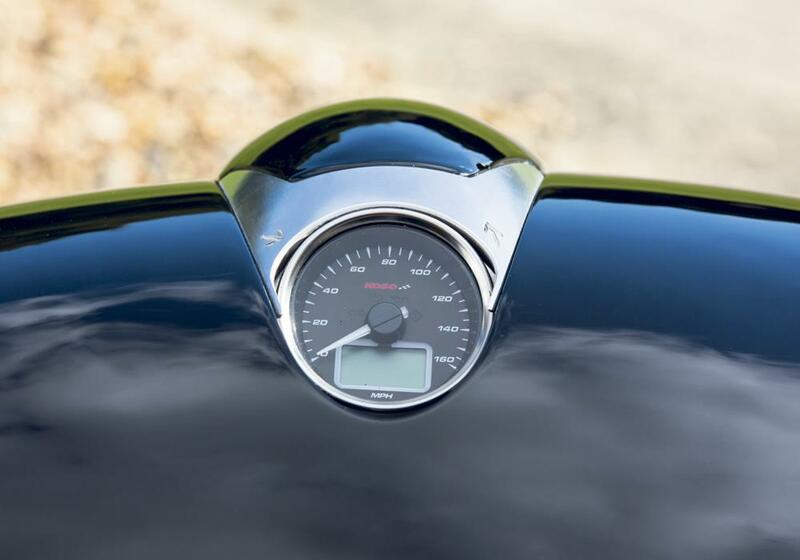 The Saietta R thrives as the throttle is rolled on at the apex, where the soft rear suspension allows the bike to hunker down and transmit that smooth, seamless torque directly to the tyre. The limits of the shock are reached only when accelerating hard over serious bumps and exiting a corner, where the bike can get a bit of a pogo on. Despite that, the handling is reassuring while the weight, which felt cumbersome at rest, isn’t noticeable when moving. When the battery indicator (an adapted integrated fuel gauge) runs low, the Saietta can be plugged into a wall socket for charging, which takes about 3.5 hours and costs around 45p. The range of a full charge is a quoted max of 112 miles, depending on your riding and the regenerative braking/deceleration system can prolong that. Agility Motors was founded in 2008 by Lawrence Marazzi. Based in Kings Cross, London, it specialises in environmentally-friendly motorcycle technology with an emphasis on high performance. Agility’s partnership with Agni Racing, winners of the first Isle of Man TTxGP in 2009, its elite team of specialised technicians and Marazzi’s own background as an engineer with Formula 1 teams Fonmet 1 and Venturi Larousse make for impeccable credentials in the exciting, futuristic world of fast electric bike development.